My bloggy friend Keri wrote an ebook for helping your family to THRIVE this summer! It's starting to get HOT in Mississippi and I wanted to come up with some new toddler games for Olive that would be fun to play INSIDE. I used things from around the house and didn't spend a penny. I came up with four different matching games that would be really easy for you to replicate. 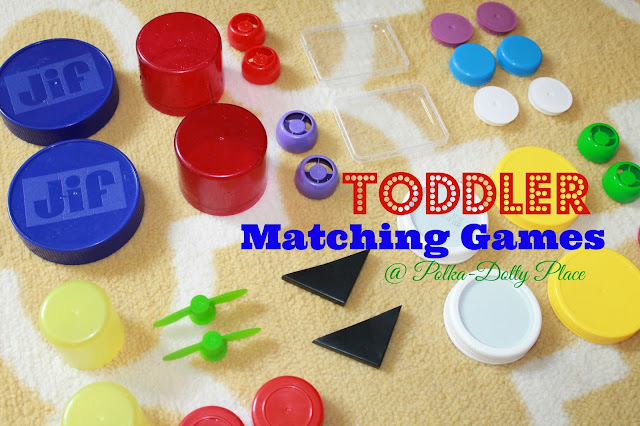 Olive is almost two so here are four matching games that are perfect for her. I started saving all plastic lids months ago. We use them as counters and now we match them. We tend to eat the same things over and over again so it wasn't hard to end up with matching lids - pb lids, hair spray lids, fruit puree pouch lids, milk lids and spice jar lids were perfect. I tried to pick out a variety of sizes, shapes and colors. We have played this multiple times. We practice colors, shapes and talk about sizes. I'll pick up one lid and ask Olive to find the matching one. She plays along and sometimes will even grab both lids in the pair. She's getting better at matching and the lids are fun to stack in towers. I put pairs of stickers on pre-cut tags. but she's still working on finding pairs with this one. I think they might be too similar in shape/style so I'd recommend using a variety of shapes/sizes for your sticker matching game. Her best version of this games was to stick the tags in her shirt. Silly girl. I gathered two of every cupcake liner I had and ended up with quite a fun collection. I handed Olive a stack of them and she pulled them all apart. She started naming them - hearts, strawberries, snowmen, etc. So I spread them out separating the pairs and asking her to find the matching one. She did well with this matching game. Olive is obsessed with all desk supplies. She could sit at my desk and go through the pens for hours. So I collected a mixed assortment of desk supplies for her to match. We worked on vocabulary words - pens, string, circle, blue, orange, marker, glue stick, etc. while we were trying to find pairs. She did great with this one if I picked up a supply and named it, then she would imitate and find the pair. She did want to stop and color with all these fun pens so we colored at the end. Do you have any other matching game suggestions for us? Wahoo for the blog hop. I love how simple these little matching games are. What clever ideas Whitney. 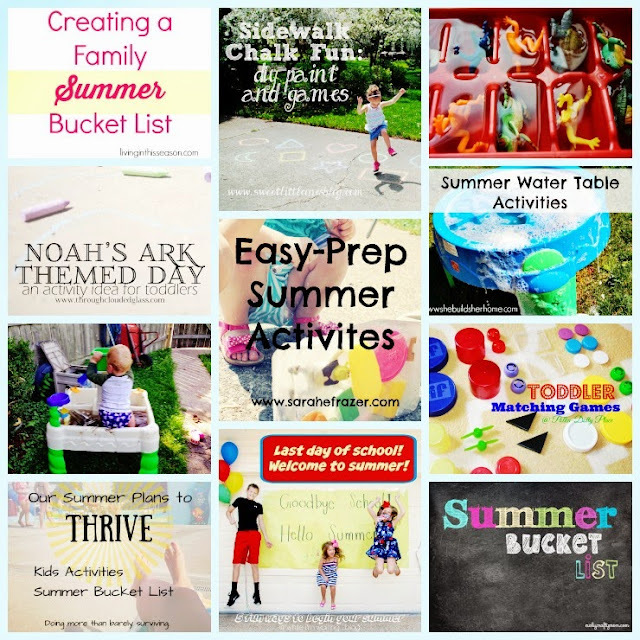 I love how you use items around your house for these activities! Great job and thanks for sharing! Genius! Elizabeth would really love this. She is also enjoying finding colors, so that would be our bonus game :) Such fun ideas!! Brilliant!!! Cannot wait to try! I Couldn't Live Without... Mexican Food!! Polka-Dotty Place Etsy Shop Giveaway! !